The experience of Hong Kong’s innovative and creative industries and the challenges they face serves as an important case study for other Chinese and Asian cities that are actively developing their innovative and creative industries in the era of globalization. The return of sovereignty over Hong Kong back to China in 1997 has led to both collaboration and competition between the two places in innovative and creative sectors for the Greater China and Asian Regions. Hong Kong has remained unique in spite of the integration, but she has to strike a delicate balance between being simultaneously a Chinese and an international city. This book looks at different innovative and creative industries, such as international art and culture exhibition, innovative technology, digital entertainment, TV and movies, as well as government policy for innovative and creative industries, particularly the changing competitive landscape brought about by the latest Great Bay Area development. 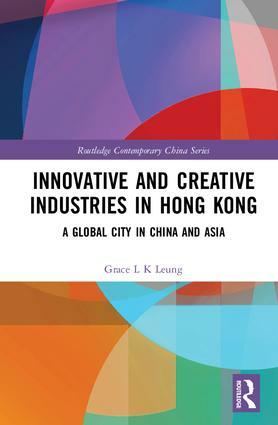 Drawing insights from cultural history, innovation economics, cultural policy studies, and cultural geography, this book explores the opportunities and challenges of Hong Kong's innovative and creative industries, in particular after the change of sovereignty in 1997. It demonstrates that the city’s legacy, and heavy government input in capital, do not guarantee their sustainable development. This is a book not only for policymakers or academics interested in innovative and creative industries but also to students contemplating a career in these areas in Hong Kong, the Greater China and the Asian Region. Asian world city with a cultural crust: the West Kowloon Cultural District Project? Grace L K Leung is a lecturer in the School of Journalism and Communication, Chinese University of Hong Kong, and a Visiting Scholar, School of Journalism and Communication, Tsinghua University, China. She has also been a popular commentator on innovative and creative industry development in Hong Kong and the Greater China Region for over two decades.